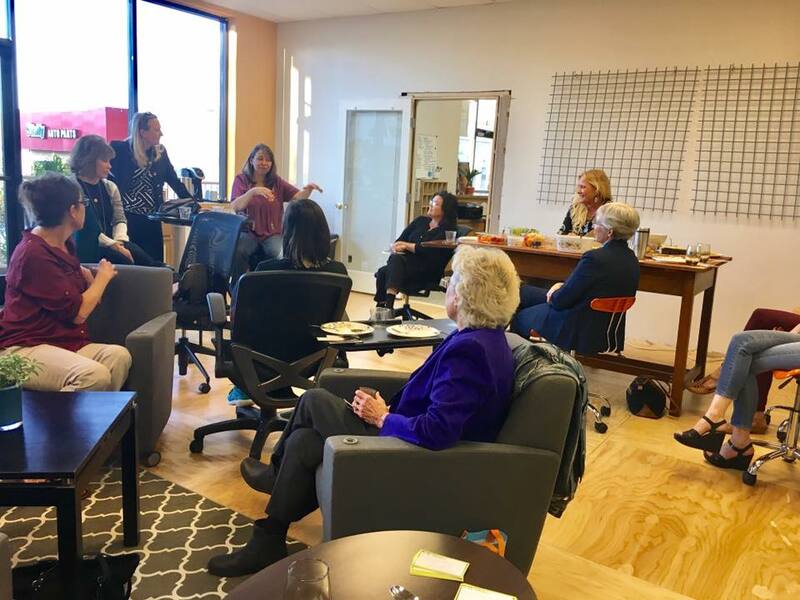 The women focused programming at WingSpace is designed to give women opportunities to grow their network, expand their knowledge and reclaim their time. We are serious about supporting you to launch or grow your business, build strong business relationships and alliances, and build personal bonds and friendships. 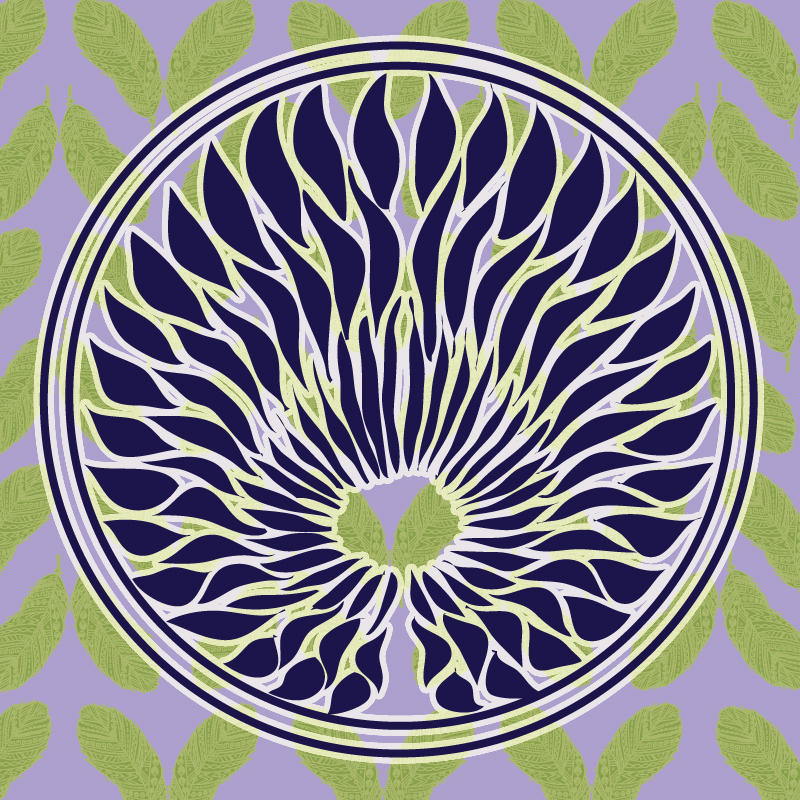 WingSpace is a great way for local women to grow their networks, and for those new to the Prescott Quad-Cities area to establish a support system. Our members represent a broad range of industries and backgrounds for a diverse community. We're building a rich calendar of events featuring national and local personalities. All of the WingSpace programming is designed as a catalyst for our members' personal and professional growth. Our programming encompasses a wide variety of topics, from professional & business development, to personal finance to creative expression, health and wellness, and beyond. Joining WingSpace means having new opportunities to reclaim more of your time. Our exclusive partnerships allow us to offer a variety of professional services to our members at discounted pricing, and provide opportunities to be more productive during the workday to leave more time for the rest of your life with family and friends. When you join WingSpace, you sign up for the opportunity to attend unlimited weekly events and networking opportunities. Our events will take place in the mornings, afternoons and evenings to accommodate even the busiest of schedules. BeMoved® Dance Classes by Mary Heller. WingSpace members receive a 30% discount drop in rate at any of Mary's BeMoved® locations. Hiking on area trails are scheduled through the WingSpace Coworking meetup site. Members have access to weekly Aiko Yoga classes led by Christina Aiko on a donation only basis. The average donation is between $5.00 and $10.00 for a one hour class. 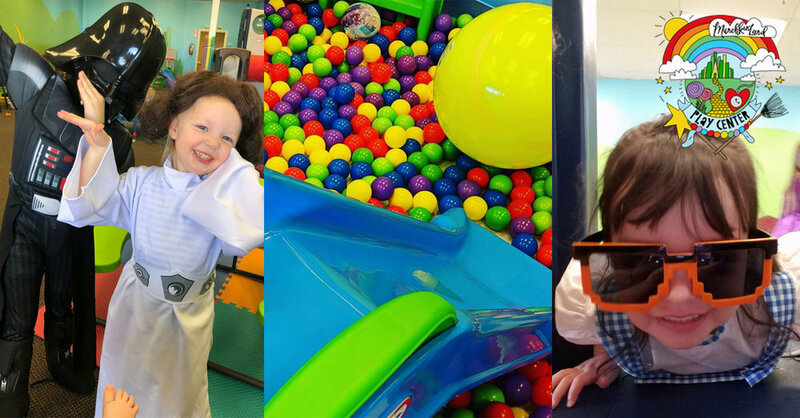 WingSpace members with a monthly membership of 4 days/month or more are eligible for a play-care discount on 2 or 3 hour play sessions between 9 am and 1 pm at MunchkinLand. Those are typically the peek productive work times before the little ones are ready for their afternoon nap. 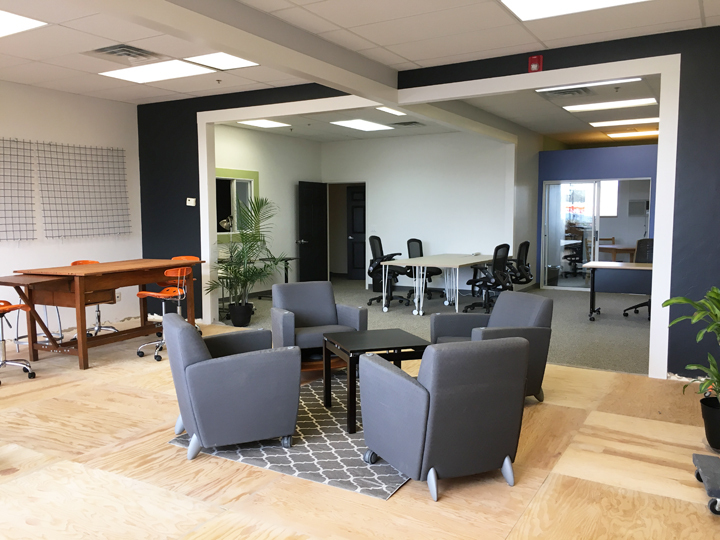 Members receive a discount on all space rentals, including the conference room and the cloud cafe open coworking area for larger groups. The cloud cafe is our main open coworking space that can be used for smaller events up to 40 people. 900 sq. ft. + use of the warming kitchen.